Here comes Santa to the Prairieville Fire Department’s response area. We have been asked again this year to assist Santa visiting Prairieville. It is not possible for us to make every street in our response area, so please look at the posted routes and come on out to see Santa when he is close to your house. In an effort to assist the Great Baton Rouge Food Band with donations during this time of year we have setup donation barrels at our fire stations for the Food Bank. Please drop off any nonperishable food items at any of our Fire Stations. We hope to see you out in the area. Prairieville Fire Department is currently conducting our annual Apparatus Pump test today on Charleston Road at the pond near Hwy 73. The testing is a requirement of the Property Insurance Association of Louisiana that we conduct this test annually on all apparatus. Please use caution in the area. Prairieville Fire Department would like to remind everyone to change your smoke alarm batteries this weekend when you change your clocks. This only takes a few extra minutes and it could save you and your family’s life. Prairieville Fire Department will host its second annual September 11th Memorial Program on Tuesday September 11, 2018 at 9:00 am at Station 30 located at 14517 LA 73 Prairieville, LA 70769. The program will be commemorating the September 11, 2001 attacks, which killed 2,977 on that horrible morning 17 years ago. Key note speaker for this year’s program will be Prairieville Fire Department’s Fire Chief Mark Stewart. Chief Stewart worked at ground zero on his federal response team during the rescue and recovery phases of the World Trade Center Site. The public is invited to attend this event and we will have our World Trade Center memorial steel on display. Prairieville Fire Department is pleased to announce that at the August 16 meeting of the Ascension Parish Council, President Kenny Matassa honored a local hero by Proclaiming Cooper Smith Day, son of Prairieville Fire Department District Chief Jamey Smith. Cooper James Smith is 11 years old and resides in Prairieville with his parents Jamey and Kim Smith, and his siblings Piper and Georgia. He is a student at Prairieville Middle School, and a member of Boy Scout Troop 65. Cooper and his Boy Scout Troop had attended a First Aid Merit Badge Day held at Prairieville Fire Department earlier in the year. According to the proclamation, on June 8, 2018, while at a neighborhood party, Cooper James Smith was in the swimming pool with eight or ten other children while all of the adults were preparing the food and refreshments. A pair of four-year-old twins jumped into the pool without any flotation devices, and without being noticed. Cooper realized that something was not right when the twins did not resurface. He jumped off his raft and swam to the boy, pulling him up and making him hold on to the wall of the pool. He then swam to the girl and pulled her safely to the wall. None of the approximately thirty people there had any idea what was happening until the twins started crying. Cooper Smith’s awareness and quick actions prevented a community celebration from turning into a family tragedy. Prairieville Fire Department and the Dutchtown High School Sports Medicine Staff conducted medical training this week. The staff trained in preparation for the upcoming football season focusing on spinal immobilization and heat related issues. The Bluff Road overpass at I-10 has been reopened. The contractor was able to reopen the roadway two weeks ahead of schedule. The three-way stop signs on Bluff Road at C.Braud will remain in place. Prairieville Fire Department will be assisting in the Ascension School Tools Drive this year. Please help us with this great program by dropping off scissors, glue & glue sticks to any of the five PFD stations. We will also accept any of the items on the attached flyer. The deadline for donations at our fire stations is Thursday, July 19. Prairieville Fire Department will deliver all donated items to the collection point on Friday, July 20. The on-duty crews at PFD completed 3 days of forcible entry training last week. 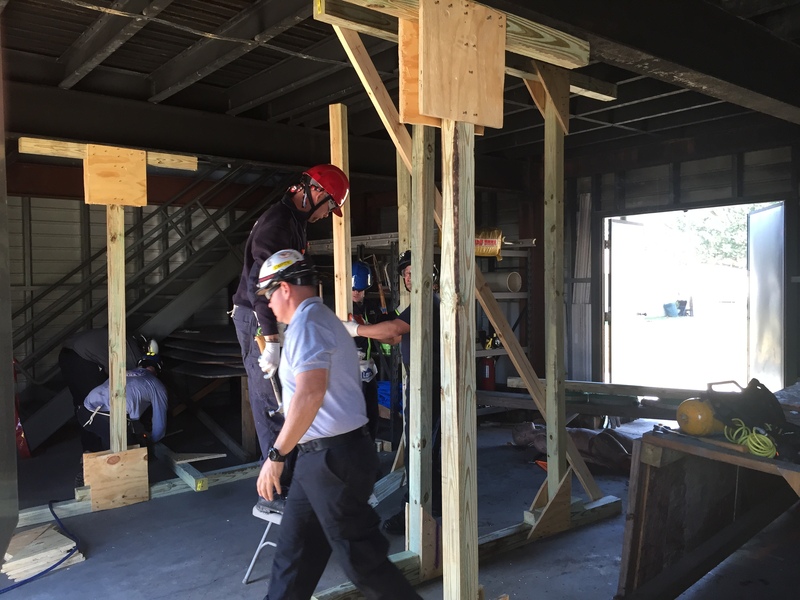 LSU Carol L. Herring Fire and Emergency Training Institute’s Regional Instructor Ken Fowler taught the class, teaching the PFD personal the latest techniques on forcible entry. The PFD personal completed hands on training using LSU FETI East Coast Rescue Solutions portable forcible entry prop trailer. Training is an essential aspect of our job because we must be ready for anything. Training is an essential aspect of our job because we must be ready for anything. The on-duty crews at PFD completed 3 days of vehicle extrication training last week. LSU Carol L. Herring Fire and Emergency Training Institute’s Regional Instructor Ken Fowler taught the class, teaching the PFD personal the latest techniques on vehicle extrication. The PFD personal completed hands on training using previously damaged vehicles and completed medical training on patient removal. The on-duty crews at PFD completed 3 days of Flashover Simulator training in February. 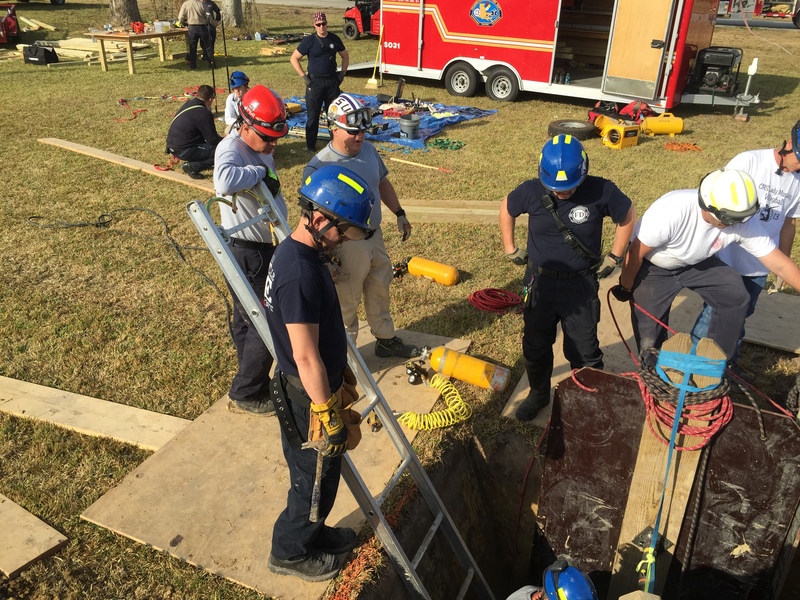 LSU Carol L. Herring Fire and Emergency Training Institute’s Regional Lead Instructor Ken Fowler along with Instructors Joey Cacioppo, Pete Scioneaux and Patrick Carpenter conducted the class. PFD personal completed class room training on fire behavior and moved outside to experience the flashover conditions in the simulator prop. Training is an essential aspect of our job because we must be ready for anything. The Prairieville Fire Department is currently accepting applications for full-time employment and have scheduled a Entry Level Civil Service Exam on March 8, 2018. The completed applications and the required attachments must be received by the civil service board secretary at the address listed below or mailed by Tuesday February 27, 2018 at 4:30 p.m. Please download and fill out the employment application and return. 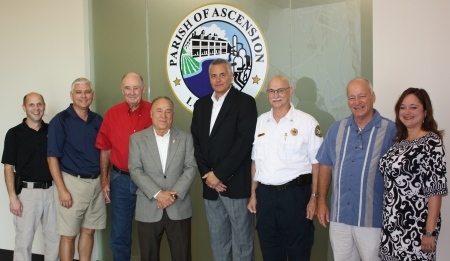 Ascension Parish President Kenny Matassa and Prairieville Fire Chief Mark Stewart announced today that the Property Insurance Association of Louisiana (PIAL) has raised the Prairieville Fire Department’s rating from a 4 to a 3. Chief Mark Stewart credited the Fire District 3 Board of Commissioners and his staff with the achievement. Walter Leftwich, a long-serving fire commissioner, was part of the group that helped to create Fire District 3. PIAL ratings range from a 10, the lowest, to a 1, being the highest achievable rating. Photo Tag: Left to Right – Commissioner Cody Melancon, Councilman Benny Johnson, Commissioner Walter Leftwich, President Kenny Matassa, Chief Mark Stewart, Assistant Chief Raymond Poche, and Commissioners Gary Newman and Tracy Bordelon. During the week of December 8th – 11th, firefighters from the Prairieville Fire Department, the City of Gonzales Fire Department and members from Ascension Parish Fire District No. 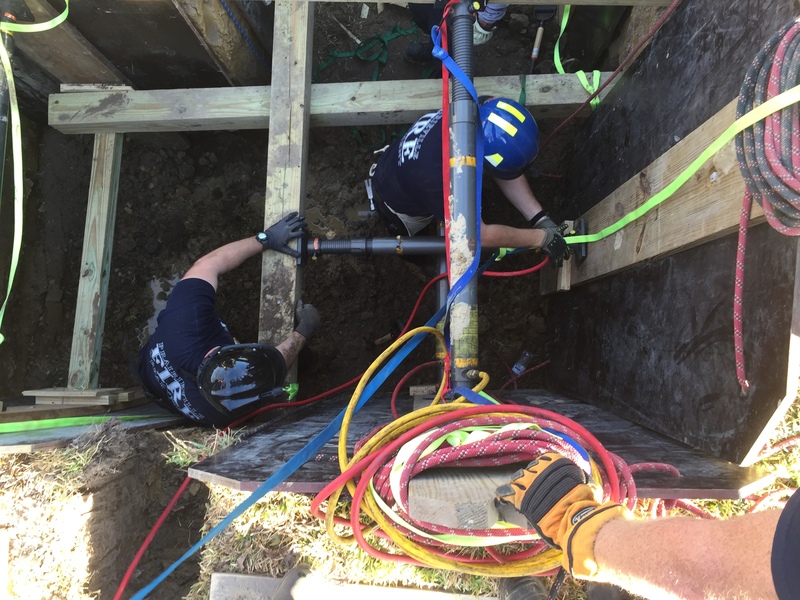 1 in coordination with Ascension OEP conducted a Trench Rescue and Structural Collapse training class. 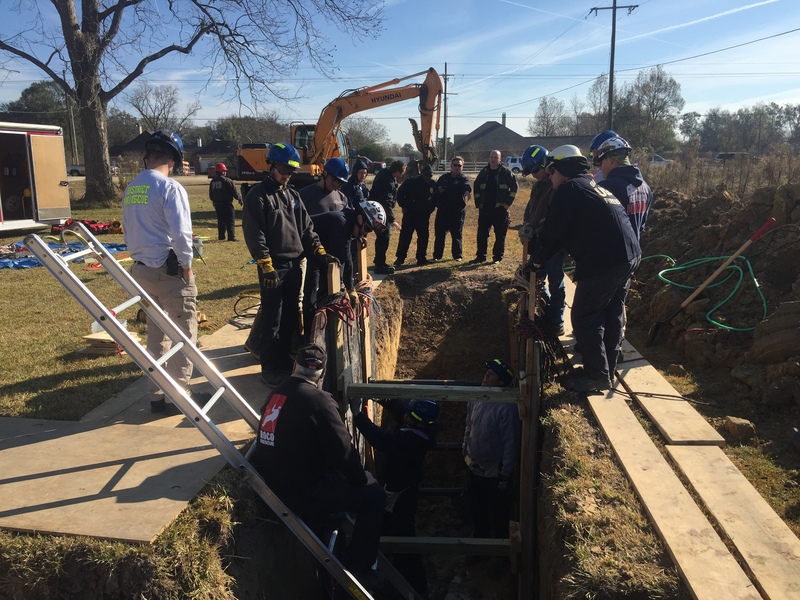 The training topics included how to safely secure a trench from secondary collapse, which would allow rescuers to remove trapped occupants. Firefighters also trained on how to properly secure a collapse or partially collapse structure. This would allow firefighters to enter a structure to search for and remove occupants that may be trapped inside. This training is essential to keeping our firefighters prepared for those uncommon but very real emergencies. Ascension Parish Fire Protection District #3, Prairieville Fire Department, is excited to announce the graduation of our five newest Firefighters. They graduated from the Fire Academy at the Carrol L. Herring Fire & Emergency Training Institute (FETI) at Louisiana State University on August 8, 2014. This now brings the total number of full time firefighters to 29. Please join us in welcoming them to full time service for our community. The rookie firefighter’s exit the 14 week Fire Academy as fully trained Professional Fire Fighters with an accumulation of national certifications including: Fire Fighter I & II, Hazardous Materials Awareness & Operations, Apparatus Driver / Operator and Medical First Responder. These five join two others that were also hired in April of this year, but already had the required certifications and went straight to work full time. The next phase of their training has already began as they are now enrolled in Emergency Medical Technician (EMT) training at the National EMS Academy. The Prairieville Fire Department offers their congratulations to these new Firefighters.